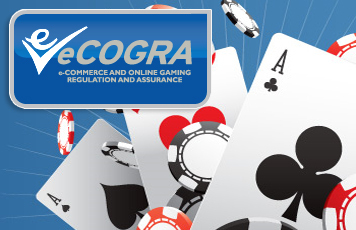 London, 10 February 2012 – Andrew Beveridge, chief executive of eCOGRA, is among the nine executives named in the legal and regulatory section of the latest Hot 50 list published annually by the business publication Gaming Intelligence. The list honours “the most talented, innovative and inspired people working in online gambling” and was this year compiled by a judging panel that comprised Warwick Bartlett of Global Betting & Gaming Consultants; Andrew Bulloss, head of betting and gaming practice at Odgers Berndtson; Mark Davies, chief executive at Camberton reputation management; Morgan Stanley executive director Vaughan Lewis; EGBA general secretary Sigrid Ligné; Gaming Intelligence managing editor Bobby Mamudi and financial analyst Dawid Myslinski. Mamudi said the objective of the Hot 50 list was to recognise the achievements of industry executives who are shaping the future from a wide range of international CEOs, regulators, technology wizards, lawyers and marketers. Jenny Williams, chief executive of the UK Gambling Commission. Commenting on his inclusion on the list, Beveridge said he felt honoured to be in such respected company as the industry matures and moves increasingly toward national regulation in many countries, with the benefits to players that this brings.